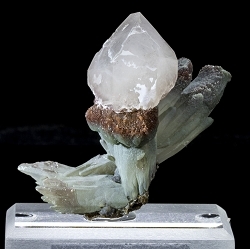 Here is a highly aesthetic fluorite & quartz combo from Dalnegorsk, Russia. 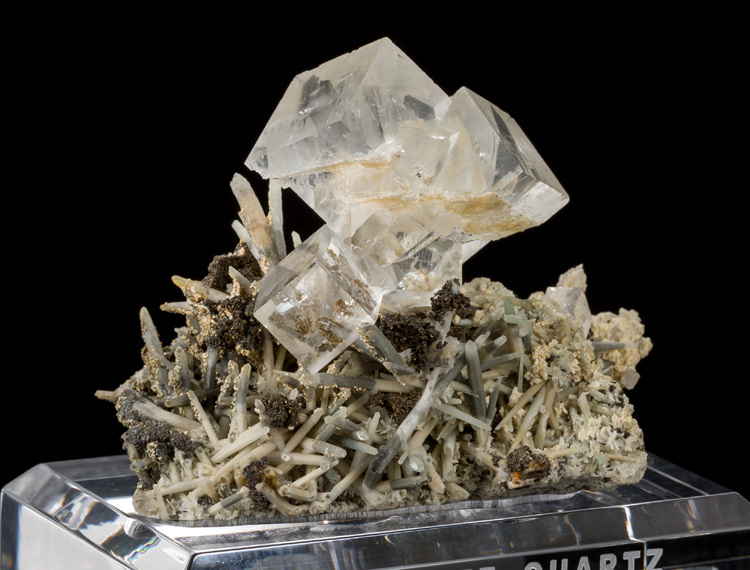 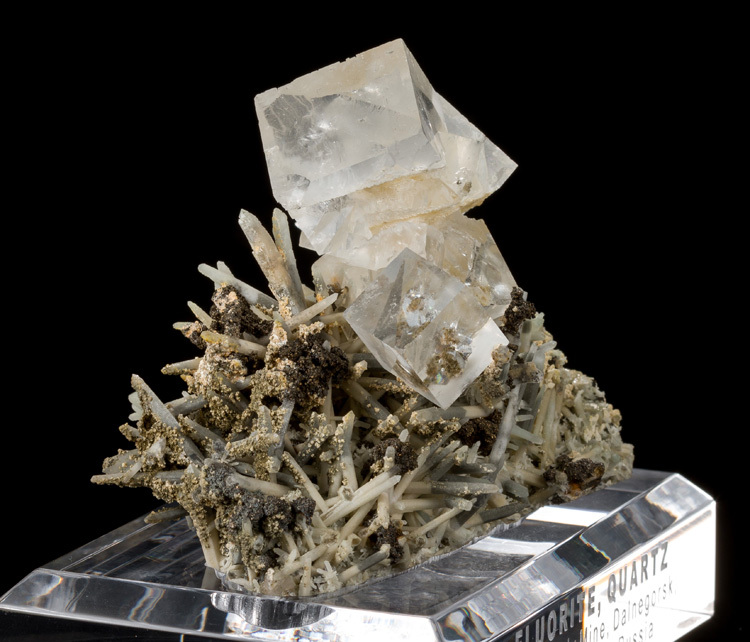 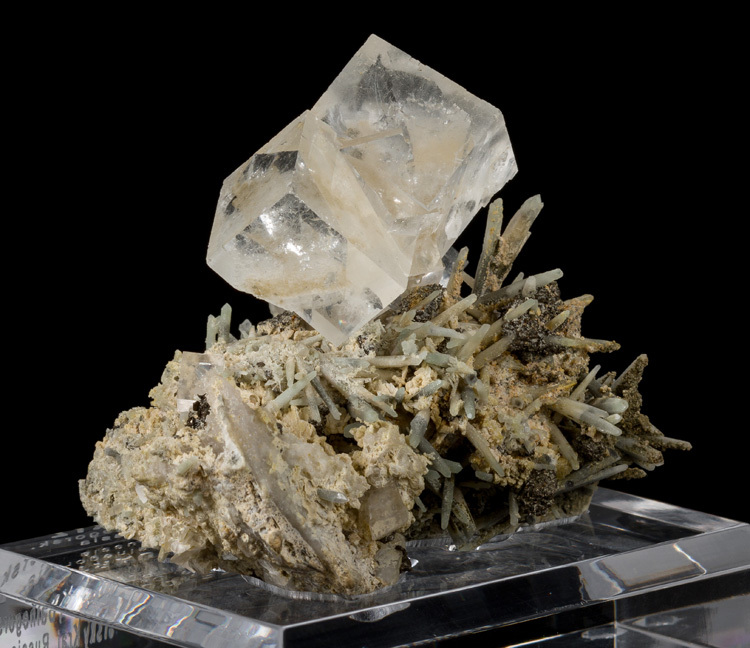 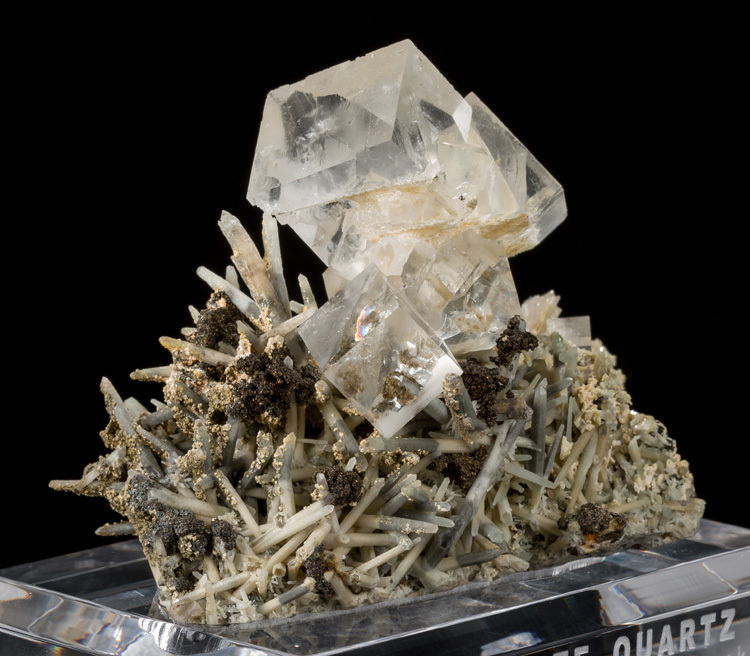 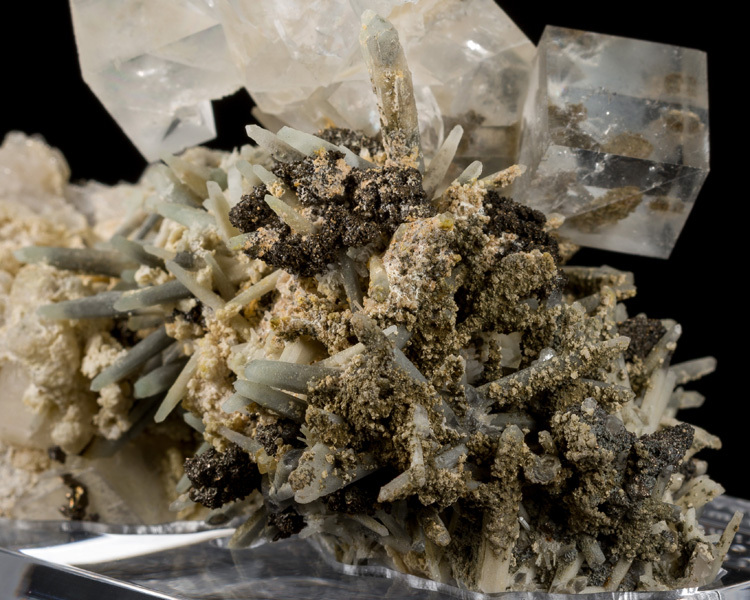 The matrix has a bed of fine, pale-green, prasem quartz crystals. 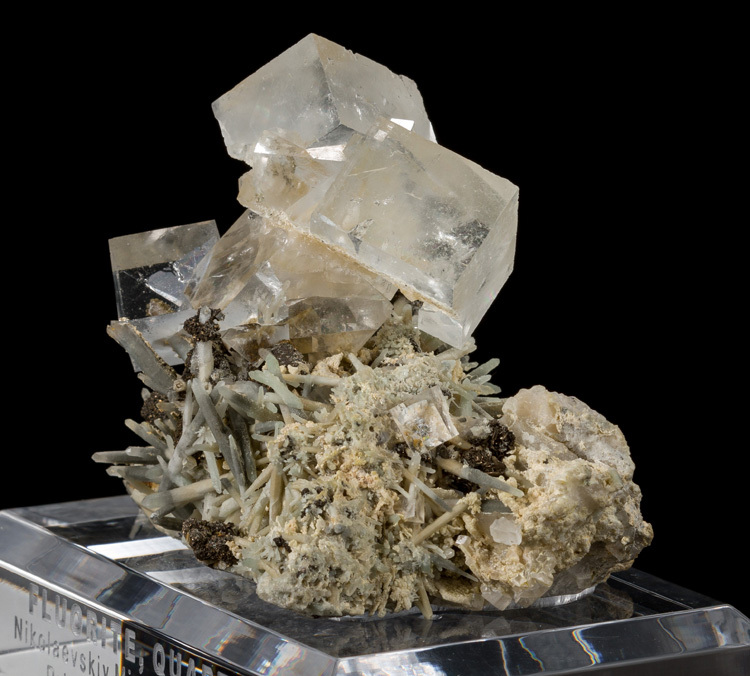 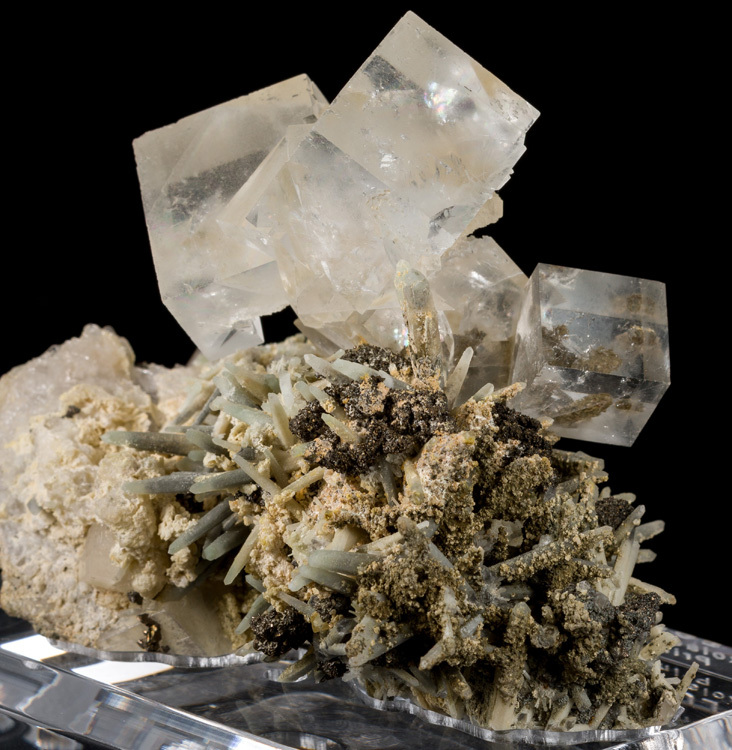 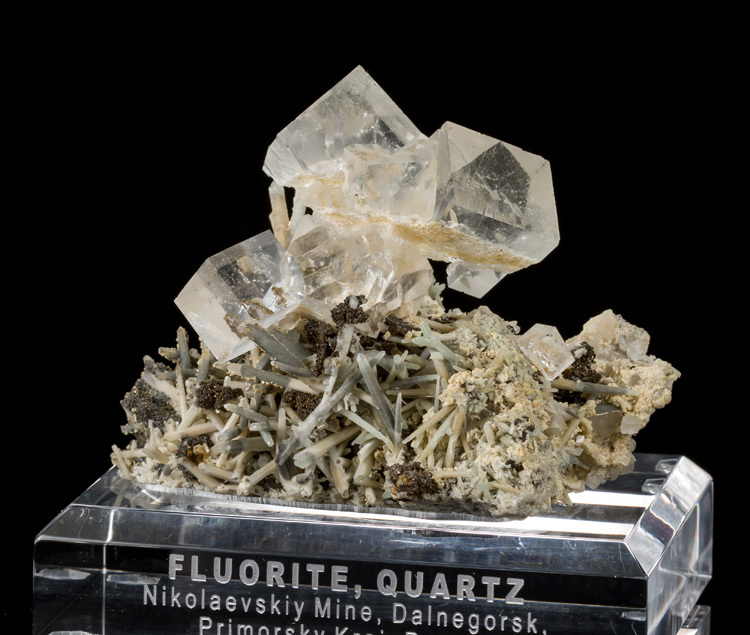 Perched atop the quartz is a cluster of 6 intergrown fluorite crystals, and there is one additional fluorite cube off to the right side. 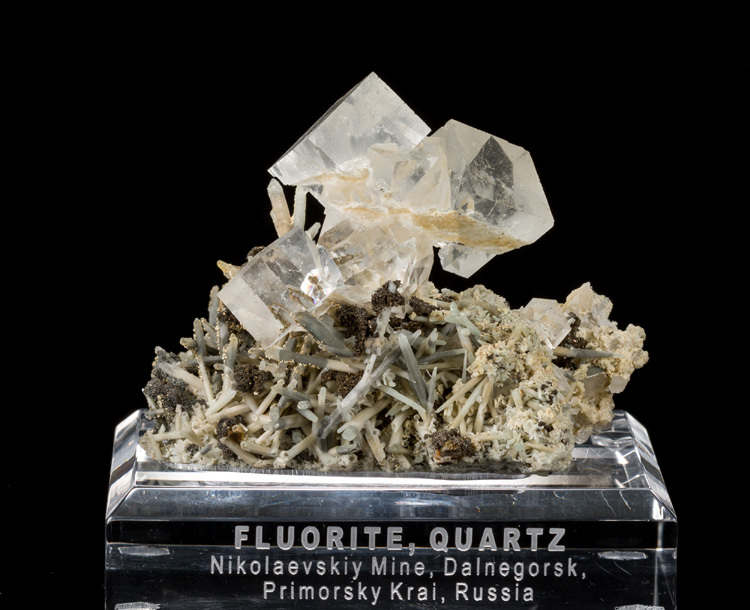 The fluorite cubes are up to 2.5cm long, and are completely colorless which is a defining characteristic of Dalnegorsk fluorites. 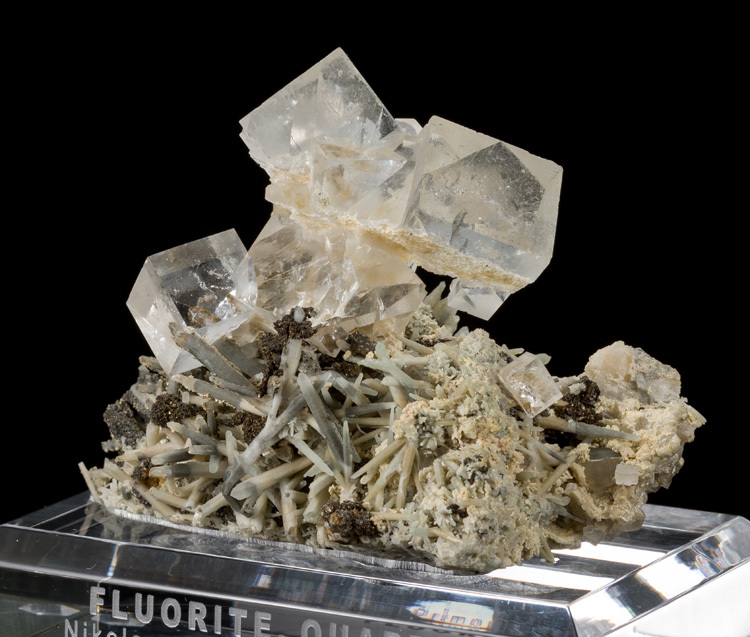 This is fluorite in it's purest form of Calcium Fluoride - the lack of impurities is why it is so clear and colorless. 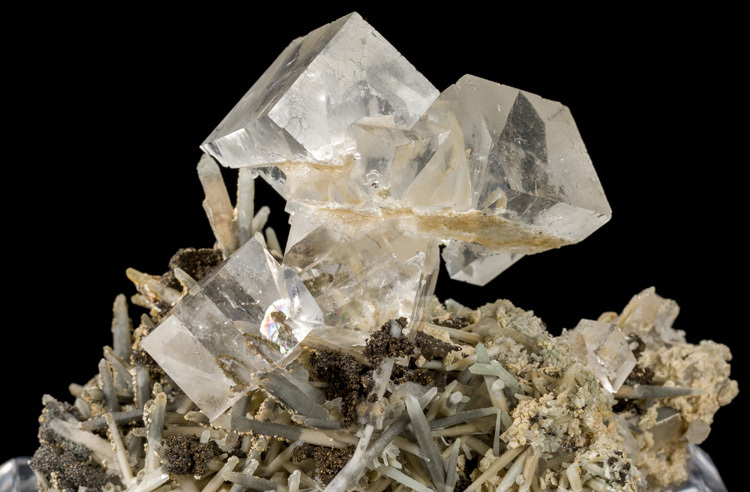 Some of the crystals have a milky white translucency to them while others are clear as glass. 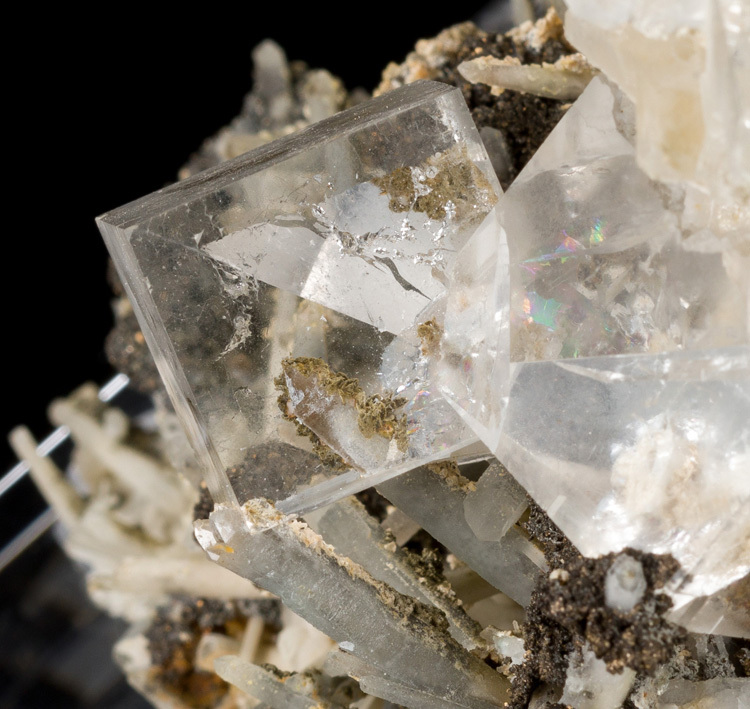 Also among the quartz crystal are some unidentified black mineral crystals.